Sorry if we're keeping you up! 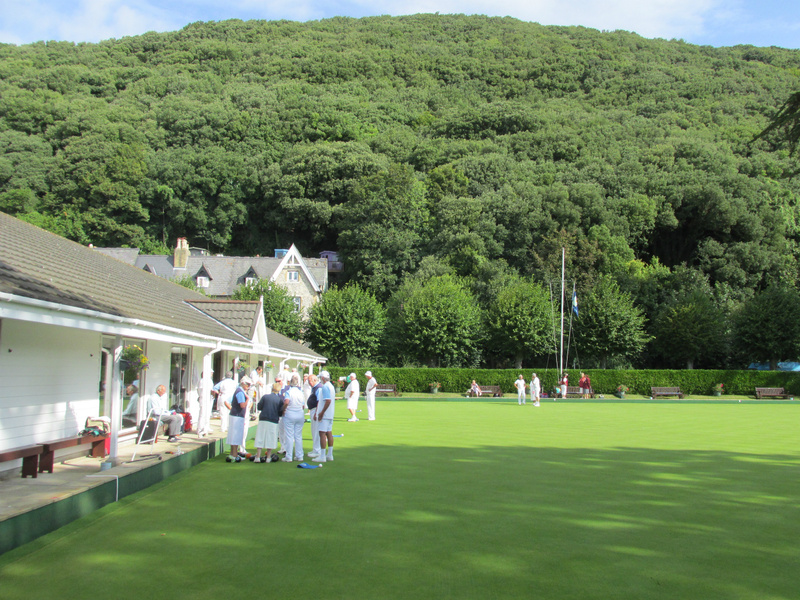 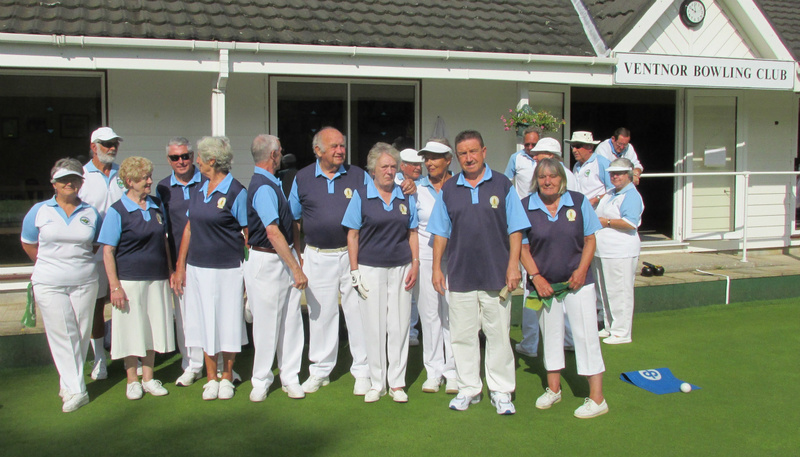 The Finals of the County Mixed League took place on our green at Mitchell Avenue last Sunday, August 16th 2015. On a warm and sunny morning, Ventnor President, Carol Venier, welcomed all bowlers and spectators to Ventnor, and wished everyone an enjoyable day. 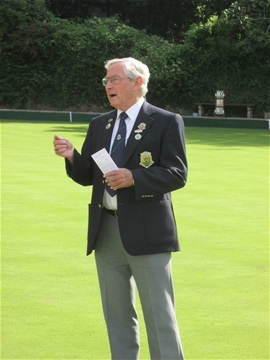 She then handed the green over to Bob Poynter, County Senior Vice-President, who was representing both men's and women's County Presidents. 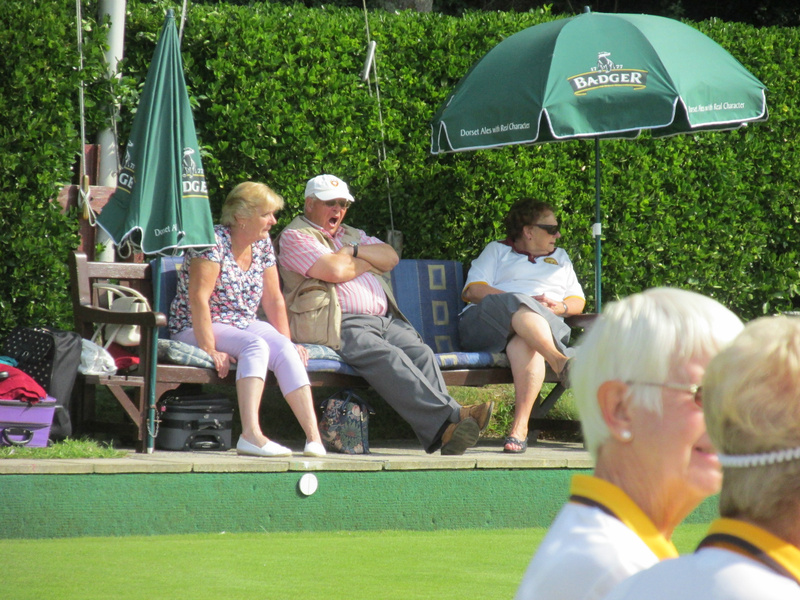 - who were both at Leamington supporting the Island competitors in the 2015 National Finals. 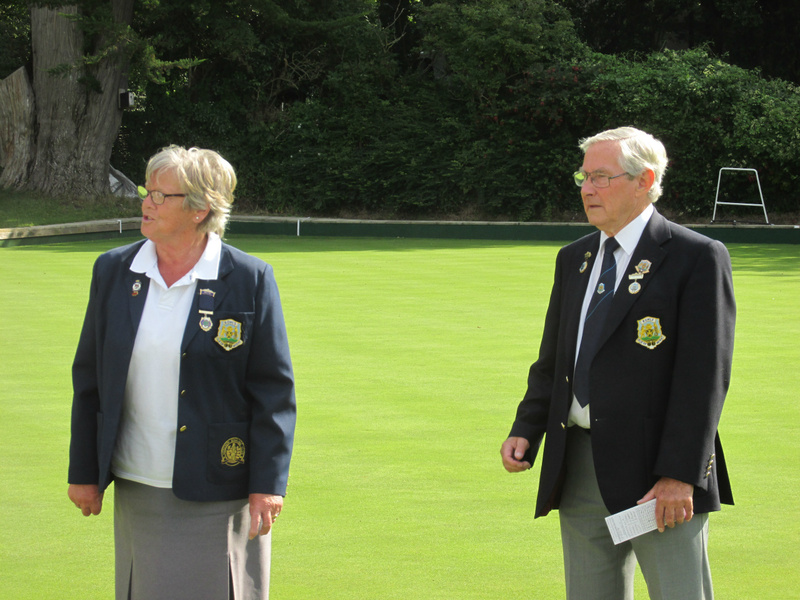 After the draw at 9.45 am, the semi-finals got underway at 10 o'clock. 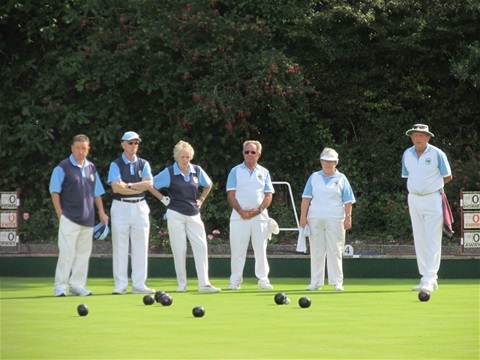 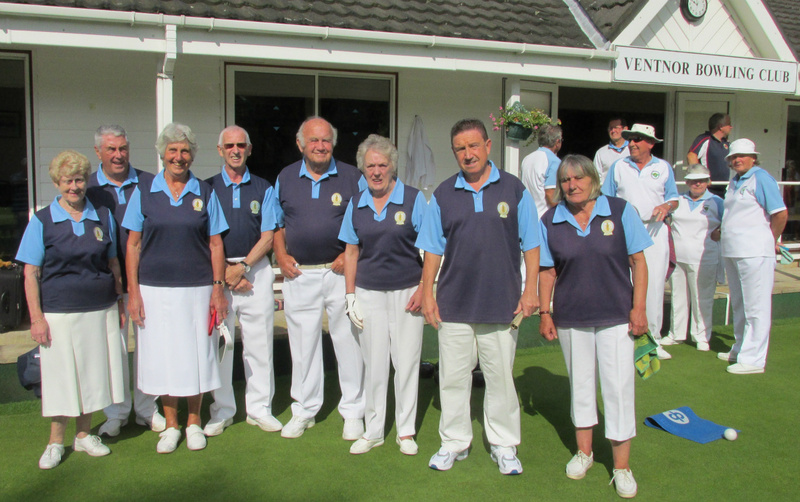 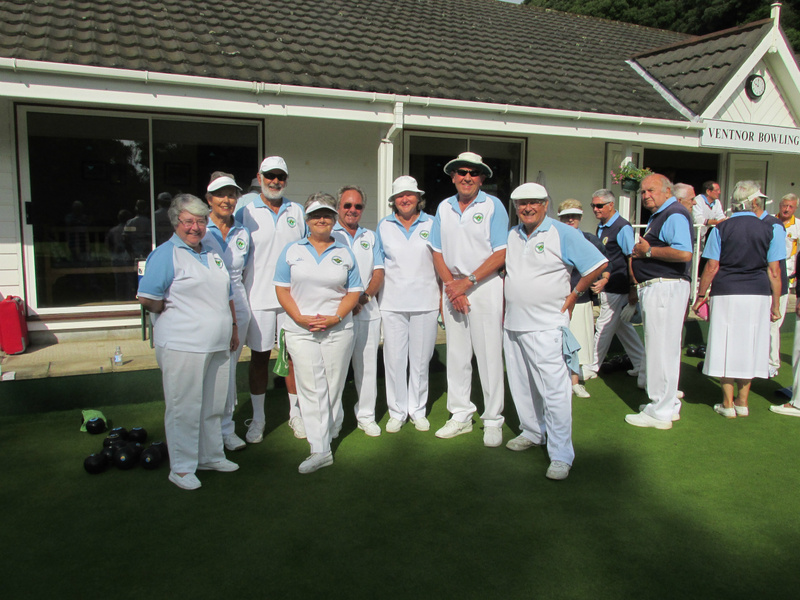 Sandown played Shanklin on rinks 2 & 3 and Ventnor took on Plessey on rinks 4 & 5. 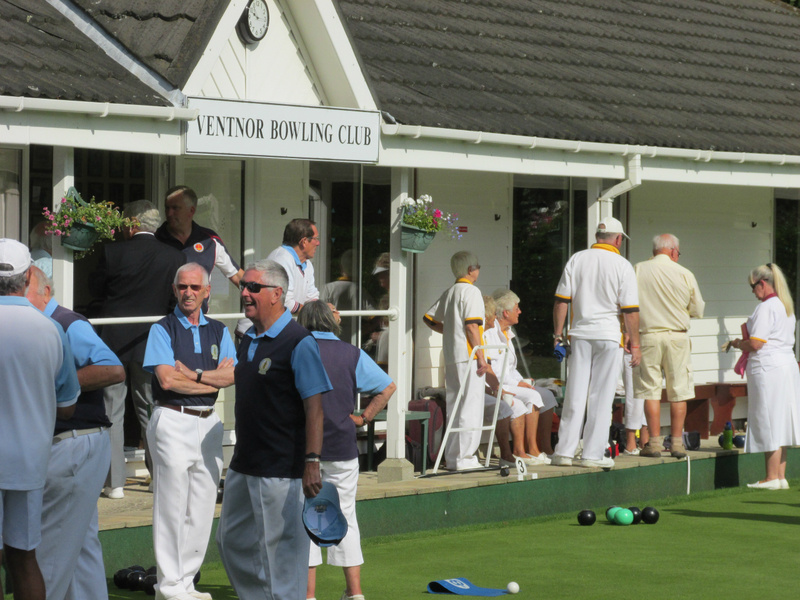 Sandown and Plessey progressed to the final, leaving Ventnor and Shanklin to play for third place. 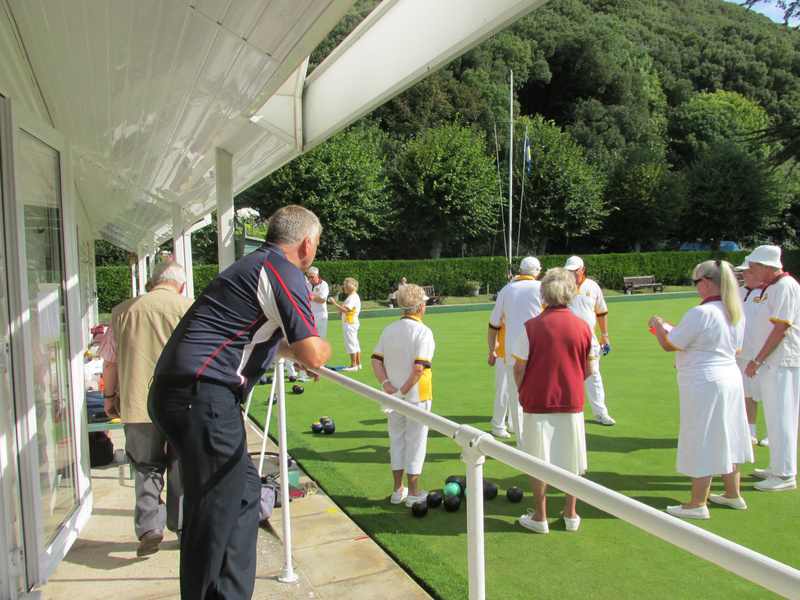 After a break for lunch, the afternoon games began at 2 pm. 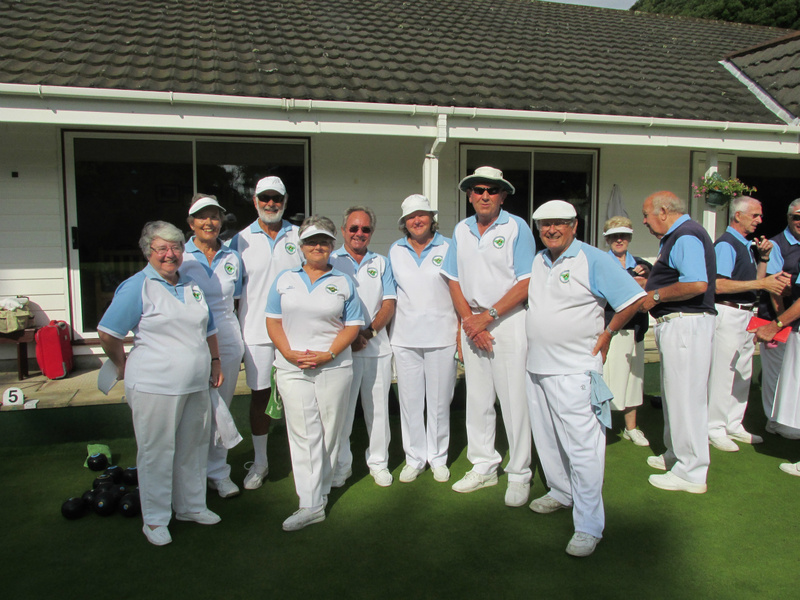 For the second year running, Sandown are the Mixed League Champions, with Plessey runners-up. 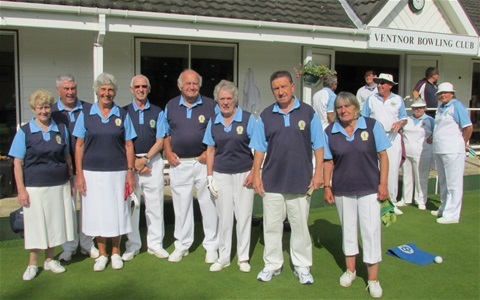 Ventnor took third place from Shanklin, one place better than last year. 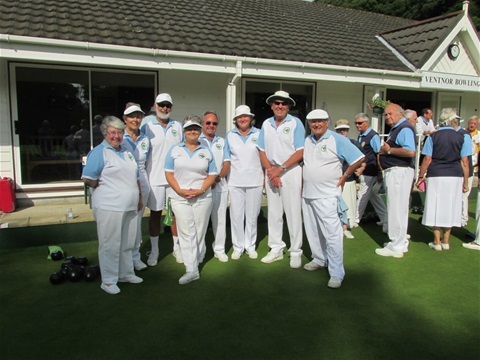 Thanks must go to Carol Venier,(wearing her Catering Manager's Apron as well as her President's Blazer) along with her helpers, for preparing and serving all the hot and cold food. 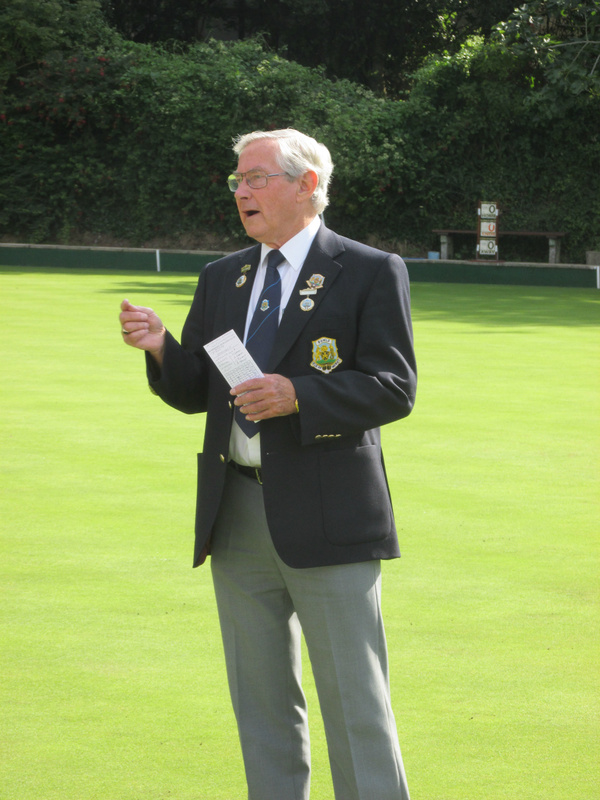 Thanks also to Derek Venier and Phil Pearce for their early start to get the green and it's surround fit for the occasion.